In some ways, we’re glad this new Tumblr account exists. In other ways, we hate it from the very bottom of our sour and blackened hearts. Rich Kids of Instagram documents the antics of, well, people who have more money than you. 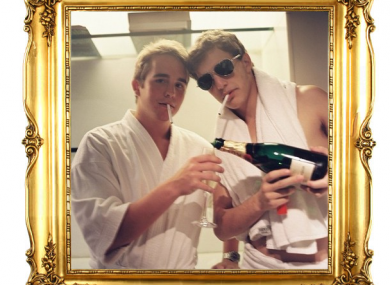 Champagne, yachts, bathrobes: all worn, used and consumed by frighteningly young people. Email “Infuriating Tumblr of the Day: Rich Kids Of Instagram”. Feedback on “Infuriating Tumblr of the Day: Rich Kids Of Instagram”.